Non-woven fabrics contain no interwoven strands but do have an organized internal structure. These fabrics are made by placing fibers together, then using heat, chemicals, or pressure to combine them into a cohesive fabric-like material. As opposed to traditional materials, such as cotton, linen, wool, and silk; non-woven fabrics do not necessitate weaving or knitting Felt one of the most common examples of non-woven fabric. It’s made by agitating fibers in a solution until they interlock into a dense textile. There are different non-woven fabric mainly defined by the method that the fibers are bonded together: Mechanical bonding (fiber entanglement), chemical bonding (fibers are chemically bonded together with glue-like compounds), or thermal bonding (where low-melt fibers are used and heat is used to melt the fiber to each other). The resulting fabrics do not have much in common aside from being categorized as nonwoven. 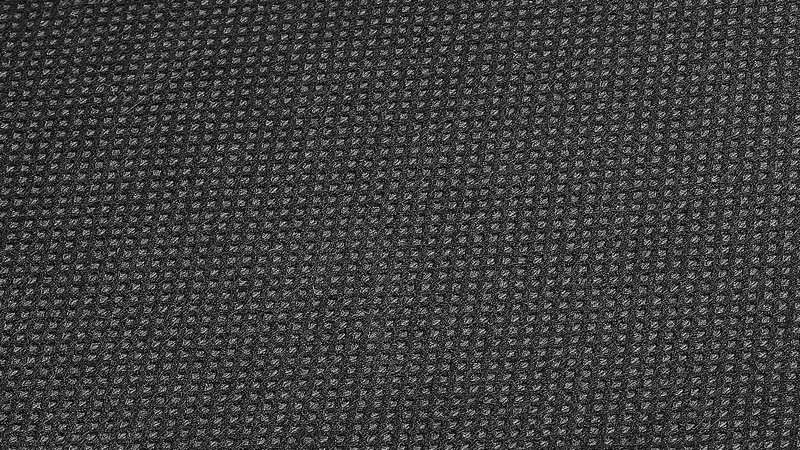 Nonwoven components such as; fiber selection, web formation, bonding, and finishing techniques can be altered to manipulate fabric properties or reverse engineer fabrics based on functional requirements. While it can be said that some sort of non-woven materials can be found in nature see spider webs, cocoons spun by silkworms and nests of birds, the first non-woven fabrics started being used in the manufacturing industry in the 1940s. Nonwoven fabrics are lighter and weaker than woven or knit fabrics. Given their weak memory and laundering durability as a material, non-woven materials are not suitable for durable clothing production. Most non-woven fabrics are used for a single-use application. But there are also advantages to the use of non-woven fabrics given their versatility and inexpensive production costs. Non-woven fabrics are used widely in different industries. In the medical profession, non-woven fabrics create isolation gowns, surgical scrubs, and medical packaging. In the carpeting industry, they are used for carpet backing. Thier characteristics have also been widely used in agriculture, construction, automotive industries. In fashion, non-woven fabrics are mainly used for the creation of interlinings, insulation and protection clothing, industrial workwear, chemical defense suits, shoe components, etc.